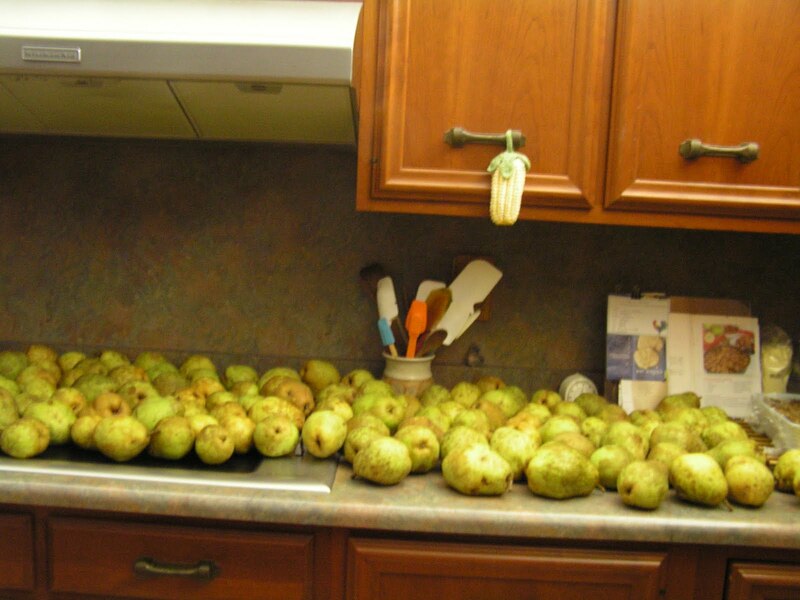 The pears we picked at a friend's house are filling the air with their sweet aroma. Now, what to do with all of them?! I have several cookbooks open to possible recipes. This afternoon I baked a pear bunt cake to take to a carry-in this evening. I'll let you know if it tastes good. I will dehydrate a few as I have good taste memories of dehydrated pears from KS days.